After the successful experiment with Garlic Raita, I wanted to try some more versions of various kinds of raita; and this recipe crossed my mind and I thought of trying this.. Result: wonderful as always. 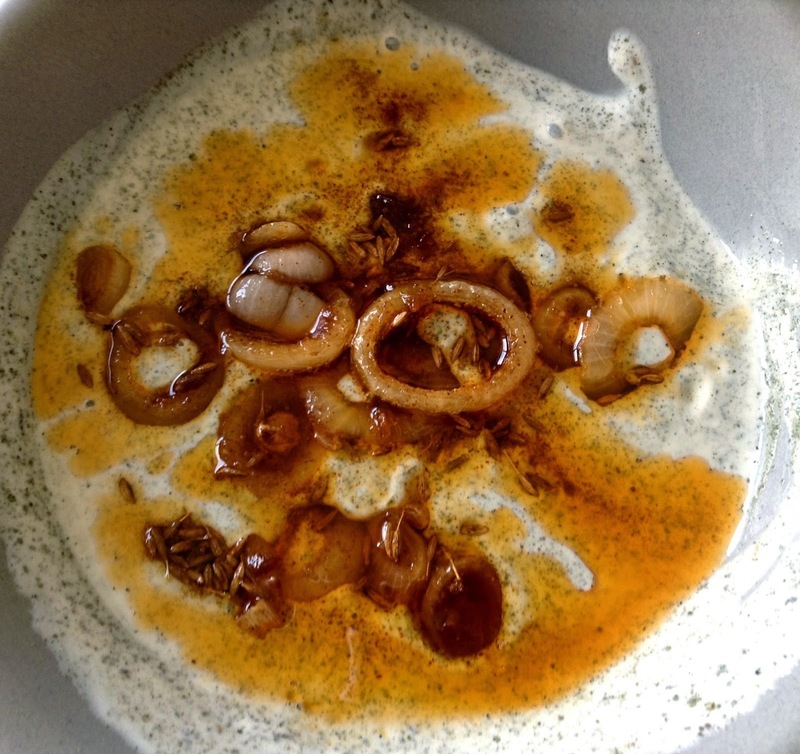 Easy to prepare, this raita is filled with the freshness of mint; and combined with the fried onions.. simply wonderful ! Mix the mint powder with the yoghurt and keep aside. Heat oil and add cumin seeds. Let them splutter. Add the onion rings and let them fry for about 2 minutes, until they start to brown, on medium heat. Add salt, red chilli powder and asafoetida. Mix well and cook for about a minute. Turn of the flame, pour this mix over the mint yoghurt. Serve cold.